What is Pain & what causes it? The sensation of pain is triggered by the nervous system, usually in response to an injury or illness. The pain sensation hurts, causing discomfort, distress and perhaps agony, depending on its severity. Pain can be felt in a variety of forms; it can be dull and constant, or short and sharp. Pain may be experienced in one area of the body, such as the back or abdomen, or it can be felt all over, like when your muscles ache during the flu. Pain can be very useful for helping to diagnose a problem. Without pain, trauma may occur without someone even realising it. Alternatively, a medical condition may remain hidden without the associated pain to help identify it. Once the instigating injury or illness has been treated, the pain will usually subside. In these instances, the pain can be classified as being acute. Back pain – most cases of back pain aren't caused by anything too serious. In most cases, back pain is caused by minor sprains or injuries. These injuries can be incurred by bending or twisting awkwardly, lifting heavy objects, overstretching, slouching or hunching, and overusing muscles. Some cases of back pain can be the result of a more serious medical condition, such as sciatica, arthritis or a slipped or prolapsed disc. On rare occasions, back pain can be the sign of something more serious, such as a spinal fracture or cancer. Headache – headaches can be divided into two categories; primary and secondary. Primary headaches are, in most cases, caused by a dysfunction or an over activity in the pain- sensitive structures in the head. Examples of primary headaches include; migraine, tension headache and cluster headaches. Secondary headaches are a symptom of another condition that stimulates the pain-sensitive nerves in the head. An example of a secondary headache is an alcohol-induced hangover. Joint pain – is the result of damage to the joints, either through disease or injury. A variety of conditions can lead to joint pain, including; osteoarthritis, rheumatoid arthritis, gout, bursitis, sprains, strains and other injuries. Period pain – is the result of muscular contractions of the womb. These contractions constantly pass through the womb, however, they are usually so mild that they pass unnoticed. During menstruation, these contractions can become more vigorous. This is to encourage the wombs lining to shed away as part of the monthly cycle. These more intense contractions can compress the blood vessels in the womb, temporarily cutting off the blood supply. Without blood, the tissues in the womb become deprived of oxygen, which causes them to release chemicals that trigger pain in the body. Muscular pain – also known as myalgia, is often the result of too much stress, tension, or physical activity. However, in some cases, myalgia can be related to a medical condition, such as; viral or bacterial infections, fibromyalgia, thyroid problems, hypokalemia (low potassium), autoimmune disorders, and certain medicines, such as ACE inhibitors. Dental pain – toothache is usually the result of the tooths innermost layer becoming inflamed. This layer is known as the dental pulp and is made up of sensitive nerves and blood vessels. The dental pulp can become inflamed as a result of; tooth decay, receding gums, a cracked tooth, loose or broken fillings, and a periapical abscess. Other conditions that can cause dental pain, without the dental pulp being affected, include; sore and swollen gums, sinusitis, ulcers, periodontal abscess, and injury to the temporomandibular joint, which connects the jaw to the skull. Babies can always experience dental pain when their teeth begin to develop. This is called teething. Pain can be further classified as being; nociceptive, non-nociceptive, somatic, neuropathic, sympathetic, visceral, and referred. Nociceptive pain occurs when specific pain receptors are stimulated. These receptors sense vibrations, temperature, inflammation, stretching and the chemicals released by damaged cells. Non-nociceptive pain isn't caused by specific pain receptors. Instead, it is a response to a nerve(s) becoming injured or unstable, causing its signalling system to become confused. The brain (central nervous system) interprets these abnormal signals as pain. Somatic pain is a type of nociceptive pain that is experienced on the skin, or in the muscles, joints, ligaments and bones. Somatic pain tends to be sharp and localised at the cause. Neuropathic pain is a type of non-nociceptive pain. It occurs inside the nervous system itself and is often referred to as a trapped or pinched nerve. This type of pain originates from the peripheral or central nervous system. Causes of neuropathic pain include; nerve degeneration, nerve inflammation, pressure on the nerves or nerve infection. Sympathetic pain (non-nociceptive) occurs in the sympathetic nervous system. This system controls blood flow, perspiration and the speed at which the peripheral nervous system works. Sympathetic pain usually occurs after bone fractures or soft tissue damage. As with neuropathic pain, sympathetic pain is the result of a nerve becoming injured or unstable, causing it to send abnormal signals to the brain, which then interprets them as pain. Visceral pain is a type of nociceptive pain. It is usually experienced in the internal organs and main body cavities, such as the thorax, abdomen and pelvis. Visceral pain is harder to localise compared with somatic pain. The sensation will usually resemble a deep ache or cramping. Visceral pain commonly refers to some type of back pain: Upper back = thoracic, mid-back = abdominal, and lower back = pelvic. Referred pain is sometimes called reflective pain. This form of pain is experienced next to, or at a distance from the origin of the injury. For example, a person suffering a heart attack may feel pain around the shoulders, back or neck, instead of the chest. The origin and causes of referred pain are still unknown. Because pain has a wide variety of causes, it can make the symptoms vague and troublesome to pinpoint. Pain that is unexplained, or has persisted beyond the expected healing time, can be described as chronic pain. Pain that is short-lived and directly related to an injury or illness will be categorised as acute. Both chronic and acute pain can share the same symptoms. However, in most cases, the characteristics of these symptoms can differ. For example, acute pain will likely be more intense and immediate, and will usually be described as being sharp, stinging, biting or stabbing. Chronic pain, on the other hand, will likely be described as dull, aching, burning or throbbing. There may not seem to be a significant difference between the two sets of descriptions; however, the words used to represent the two kinds of pain work quite well. Words like sharp and stinging suggest an intense and sudden pain, which is exactly what acute pain is – the bodys immediate response to injury. Whereas, words used to describe chronic pain (dull/aching), indicate a more constant and nagging pain, which accurately describes most cases of chronic pain. The pain has lasted for longer than six months. The pain is the result of an injury that should have already healed. The pain increases in intensity when stressed or angry. Pain-relief medication has stopped working, even with an increased dose. The pain is interfering with sleep. The pain is interfering with your work and social life. Effectively managing pain will start with a comprehensive pain assessment. This assessment will allow the doctor or healthcare provider to characterise the pain, assess its impact, and evaluate other associated aspects, such as medical or psychological issues. This initial assessment will determine whether an additional evaluation is required to fully understand the pain. Pain is very subjective, meaning only the sufferer can describe it adequately. The healthcare provider will ask about the pains location and duration. They will then seek to identify the quality and severity of the pain, as well as what factors make the pain better or worse. The next step will be to assess the changes that have occurred in the sufferers life as a consequence of the pain. This assessment will require a physical examination, coupled with a review of the patients medical records. Part of the pain assessment will require discussing all previously tried pain-relief treatments. The doctor or healthcare provider will enquire as to what medicines and conventional treatments have been tried in the past. If the sufferer has been using complementary or alternative treatments, these are also important to discuss. These alternative treatments may include; acupuncture, massage therapy, herbal and nutritional therapies, yoga and chiropractic care. Gain a full description of the pain. Assess whether the description fits any well-known pain syndrome. Determine whether the pain is the result of a structural disease if the body. Attempt to determine the mechanism perpetuating the pain. For example, tissue damage, nerve injury or psychological processes that may be maintaining the pain. Obtain a full description of the negative effects on the sufferers physical and psychological functioning caused by the pain. Determine whether any medical or psychiatric problems coexist with the pain and whether these will require simultaneous treatment. What treatments are avalibale for Pain? If the pain is being caused by an underlying disorder, treating said disorder will also relieve the associated pain. For example, if suffering from a bacterial infection, taking the appropriate course of antibiotics should clear up the infection, which should result in the elimination of the associated pain. If the pain is moderate to severe, it may also be necessary to use analgesics (painkillers), until the underlying cause has been treated. Analgesics are effective at relieving nociceptive pain but aren't effective at combating neuropathic pain. If suffering from a mild headache or a muscle strain, an over-the-counter pain reliever will usually be enough to ease the pain. However, if the pain is more severe, the doctor may recommend something a lot stronger, such as an opioid analgesic. Opioid analgesics are the strongest painkillers, which are only available with a valid prescription. They are commonly used after surgery, for broken bones, burns, cancer, and under various other circumstances where the pain is likely to be severe. Opioid analgesics work by binding to the opioid receptors in the brain and spinal cord. This causes a reduction in the pain messages being sent to the brain, thus reducing the feelings of pain. An opioid will usually be administered in gradually increasing dosages. The aim of this method of administration is to achieve the ideal dose, which is when the pain is sufficiently relieved, whilst the side-effects remain tolerable. By taking too high a dose, the side-effects can become too much for the sufferer. Opioid dosages are generally much lower for infants and the elderly. Non-opioid analgesics are generally used to treat mild to moderate pain. Unlike opioid analgesics, they are not addictive and their pain-relieving effects do not dwindle with repeated use. You suffer from any form of liver or kidney problem. You have issues with alcohol, such as long-term misuse. You are classed as very underweight. You have had an allergic reaction to paracetamol in the past. An allergic reaction, which can lead to rashes or swellings. Low blood pressure, flushing and a fast heart rate. This side-effect usually only happens when paracetamol is administered intravenously in a hospital. Blood disorders, such as Thrombocytopenia and Leukopenia. It is always advised to speak to your doctor or pharmacist should you develop any troublesome side-effects as a result of taking paracetamol. These medicines can be obtained over-the-counter or as a prescription medicine, depending on the strength and dosage. NSAIDs are one of the most common pain-relieving medicines in the world. Low NSAID doses are effective for treating minor ailments, such as muscle aches, headaches, fever, minor strains and other daily discomforts. Higher doses of NSAIDs will help to relieve more moderate pain, such as joint inflammation. NSAIDs work on the chemical level by blocking the effects of certain enzymes, specifically the Cox-1 & Cox-2 enzymes. These enzymes play an important role in the production of prostaglandins, which are chemicals like hormones. When the body is injured, the damaged tissue releases prostaglandins, which amplify the pain signals from the nerves, as well as causing the damaged tissue to swell. By blocking the enzymes that produce prostaglandins, NSAIDs will effectively reduce the swelling and decrease the sensations of pain. 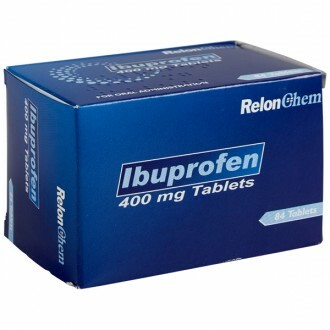 Ibuprofen (generic) – this is available as tablets, caplets, gel, and liquids. 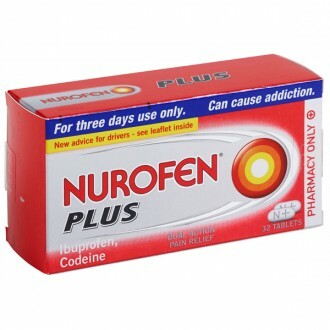 Nurofen – probably the most recognised brand of Ibuprofen in The UK. Nurofen is available in a plethora of formulations including; tablets, liquid tablets, caplets, meltlets, liquids, patches, gels and sachets. 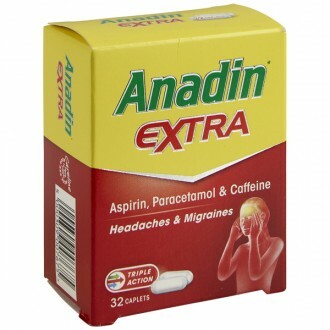 Aspirin – belongs to the group of NSAIDs known as Salicylates. It is available in many forms and has a number of other uses besides pain relief. It can also be used to help reduce the risk of heart attacks and strokes. 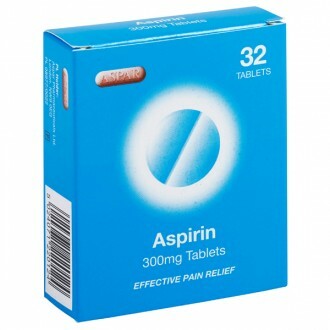 Aspirin (generic) – available in tablets and soluble tablets. Dispirin – available as a soluble tablet and as a fast-tab (melts on the tongue). Diclofenac – is used to treat mild to moderate pain, including the signs and symptoms of osteoarthritis and rheumatoid arthritis. Diclofenac can be bought as a topical gel (Voltarol), over- the-counter, or as an oral tablet with a valid prescription. 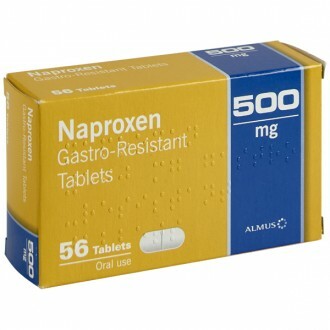 Naproxen – is usually used to treat pain and inflammation caused by conditions like; arthritis, tendinitis, bursitis, ankylosing spondylitis, gout and period pain. Naproxen is available in immediate, slow, or extended-release formulas. For chronic pain conditions, such as arthritis, the slow or extended release would be the preferred choice, as this form will not work fast enough to treat acute pain. 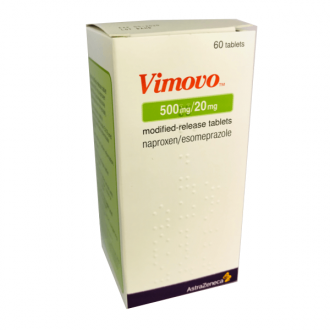 Examples of Naproxen based products include; Naprosyn Tablets (prescription-only-medicine), Vimovo modified-release tablets and Feminax Ultra (over-the-counter pharmacy medicine). You are either pregnant, breastfeeding, or trying to conceive. You have suffered an allergic reaction to NSAIDs in the past. You have suffered from a stomach ulcer. You have problems with your heart, kidneys, liver, blood pressure, circulation, or bowels. You are currently taking medicines that could potentially interact with NSAIDs. You are looking to treat a child under the age of 16 years. Under these circumstances, NSAIDs may not always need to be avoided. However, they should only be used on the advice of a healthcare professional. 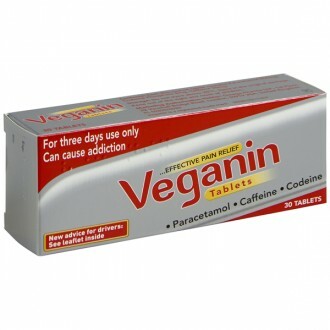 If deemed inappropriate, your doctor or pharmacist may recommend an alternative method of pain relief, such as paracetamol. Anticonvulsants are only available with a valid prescription. Antidepressants are only available with a valid prescription. Therapeutic nerve blocks – containing a local anaesthetic. These nerve blocks are typically used to relieve acute pain. Diagnostic nerve blocks – these nerve blocks are designed to identify the sources of pain. Prognostic nerve blocks – are used to predict the effectiveness of given treatments. This type of nerve block is aimed at determining whether more permanent forms of treatment (such as surgery) would be more effective. Pre-emptive nerve blocks – this form of nerve block is designed to prevent subsequent pain, following a procedure that can cause problems. Sympathetic nerve block – this type of nerve block is performed to determine whether the sympathetic nerve chain has become damaged. This chain of nerves extends the full length of the spine and is responsible for controlling some of the bodys involuntary functions, such as blood vessel dilation. Stellate ganglion block – This is a form of sympathetic nerve block that assesses whether there is any damage to the nerve chain that supplies the head, neck, chest and arms, and whether this nerve damage is the source of the of the pain in those areas. Facet joint block – this is also referred to as a zygapophysial joint block. The facet joints are found on the back of the spine, at the points where the vertebrae overlap. These joints are responsible for guiding and restricting spinal movements. The facet joint nerve block will help determine whether one of these joints is the source of pain. Your body contains a metal or an electrical implanted device, such as a pacemaker. You're pregnant, or could be pregnant. You suffer from heart problems. It is commonly accepted that more research is needed to ascertain whether TENS is a reliable method for providing pain-relief. If you are considering TENS treatment, it is recommended you speak to your doctor or pharmacist first. For some people, complementary and alternative medicines may also prove helpful for neuropathic pain relief. These treatments can include acupuncture and herbal remedies. Most alternative medicine is available without a prescription, however, it is always advised to consult your doctor before starting any new treatments for neuropathic pain. How can I prevent Pain? Both acute and chronic pain cannot always be prevented. However, staying in good physical and mental health is probably the best method for staving off injury or illness, or at least helping to cope with it. Treat any health problems as early as possible. Ensure you get enough sleep every night. Alternate activity and rest throughout the day. Eat a balanced diet, rich in fresh fruit and vegetables. Try to keep stress to a minimum. Keeping your back strong and supple will help prevent back pain -ensure you maintain a good posture, exercise regularly and lift correctly. Avoid dangerous situations that could potentially result in injury. Practice good oral hygiene (specifically relating to dental pain). 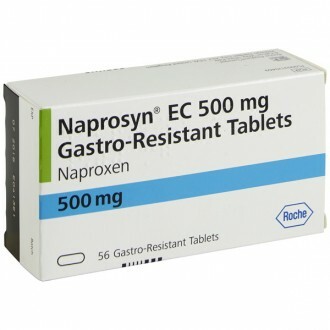 Naproxen: Powerful Painkiller Or Really Just Same As Ibuprofen? Pain is a sensation triggered by the nervous system, usually as a response to an injury or illness. The pain sensation is unpleasant; it hurts and causes discomfort, and perhaps even agony. Pain can be experienced in a variety of ways; from short and sharp, to dull and constant. Pain can serve a purpose - acting as a useful mechanism from which to diagnose health problems. Without pain, illnesses may go undetected, or injuries unnoticed. Words that are commonly used to describe pain’s varying sensations include; stinging, burning, throbbing, shooting and aching. Acute pain is usually directly related to soft tissue damage, such as a cut or a strain. It is typically sharp in quality and acts as a warning of disease or injury to the body. Acute pain can be mild and brief, or alternatively, it can be severe and last for weeks. For example, the acute pain experienced from a shallow scratch will be mild and brief compared to the acute pain suffered from a broken bone, which will likely be more severe and long-term. In most cases, acute pain will not last beyond six months. Chronic pain describes the type of pain that persists long after the instigating injury or illness has healed. Chronic pain can cause a number of unpleasant physical effects including; tense muscles, lethargy, reduced mobility, and changes in appetite. Also, it can impact on a sufferer’s quality of life, which will likely result in a number of emotional effects too. These can include; depression, anxiety, and anger. What are the most common types of Pain? Back pain – usually nothing too serious. Most cases of back pain are caused by twisting or bending awkwardly, overstretching, hunching, or lifting heavy objects. Other cases of back pain can be the result of a more serious medical condition, such as arthritis, a slipped disc or sciatica. Primary headaches – this type of headache is usually caused by dysfunction of the pain- sensitive structures in the head. Examples of primary headaches include; migraine, tension headache, and cluster headache. Secondary headaches – these are typically a symptom of another ailment, which stimulates the pain-sensitive nerves in the head. A hangover is a good example of a secondary headache. Muscle pain – can also be referred to as myalgia. This common source of pain will likely be caused by stress, tension or overexertion. Some cases of myalgia can be caused by certain medical conditions, including; fibromyalgia, hypokalemia, thyroid problems, and bacterial or viral infections. Joint pain – this type of pain occurs when the joints in the body become damaged, either through illness or injury. A variety of conditions can cause joint pain, including; osteoarthritis, rheumatoid arthritis, gout and bursitis. Period pain – is caused by contractions in the womb that occur during menstruation. During this point of a woman’s monthly cycle, the uterus contracts in order to encourage the wombs lining to shed. These contractions can compress the blood vessels in the womb, which temporarily cuts off their blood supply. Without blood, the womb can become deprived of oxygen, which triggers a chemical release that is interpreted by the brain as pain. Dental pain – is typically the result of inflammation of the tooth’s inner layer. This layer is referred to as the dental pulp, and it contains sensitive nerves and blood vessels. Tooth decay, receding gums, broken fillings, a cracked tooth, and a periapical abscess can all cause inflammation of the dental pulp. Other oral inflictions that can lead to dental pain include; swollen gums, sinusitis, mouth ulcers, and periodontal abscesses. What are the different forms of Pain? Neuropathic pain (neuralgia) – is a type of pain that originates from within the nervous system. Neuropathic pain is usually the result of a problem with the signals being sent from the nerves to the brain. This type of pain can be caused by nerve damage, degeneration, or inflammation. It can also be caused by pressure on the nerve, or a nerve infection. Somatic pain – can sometimes be referred to as musculoskeletal pain. The nerves that trigger somatic pain are called nociceptors. They are found in the skin and deep tissues of the body and are sensitive to temperature, vibrations, and swellings in the skin, joints and muscles. A strained muscle or a cut on the skin are both examples of somatic pain. Visceral pain – this type of pain is felt in the internal organs and the main body cavities. Visceral pain is much harder to localise than somatic pain, with the sensation itself resembling a deep ache or a cramp. Sympathetic pain – like neuropathic pain, sympathetic pain occurs when a nerve becomes damaged or unstable. This results in abnormal signals being sent from the nerve, which the brain then interprets as pain. Sympathetic pain occurs in the sympathetic nervous system. Referred pain – this type of pain is experienced at a different site from the original injury. For example, someone who has undergone shoulder surgery may feel referred pain in the arm. Analgesics are medicines that are designed to relieve the symptoms of pain. 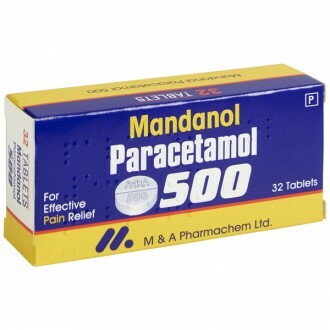 Paracetamol is classed as a simple analgesic. 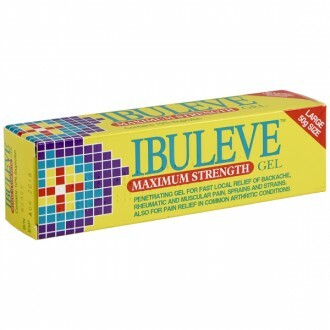 It relieves the symptoms of pain and reduces fever. 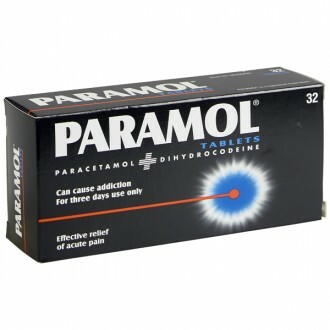 Paracetamol is used to treat many ailments where the pain is mild to moderate. 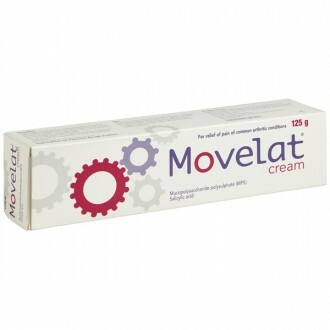 It can effectively relieve the symptoms of; headache, muscle ache, toothache, backache, mild arthritis and cold and fevers. 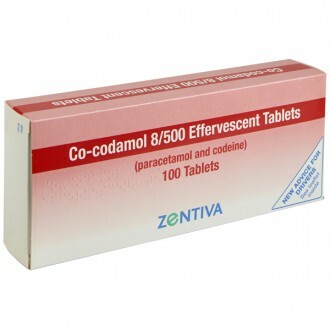 However, paracetamol is ineffective at reducing any underlying swelling and inflammation. NSAID stands for Non Steroidal Anti-Inflammatory Drug. They work by inhibiting the production of prostaglandins, which is a substance produced by the body when it becomes injured. Prostaglandins amplify the pain signals being sent to the brain, as well as causing the affected tissue to swell. 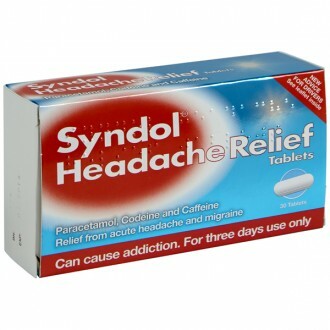 By inhibiting their production, NSAIDs will relieve the swelling and dull the associated pain. In these cases, it may not always be necessary to avoid NSAIDs, however, they should only be taken on the advice from a qualified healthcare professional. Codeine is a mild opioid analgesic. It isn’t very effective when used on its own. 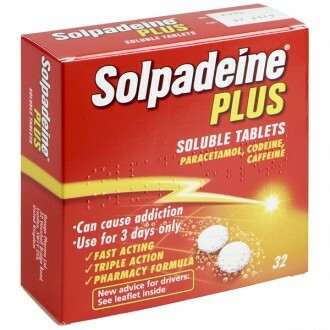 Codeine works much better when combined with another painkiller in a single pill, such as paracetamol. 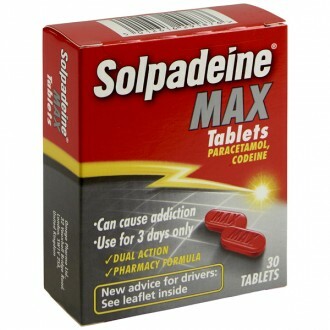 Codeine can cause dependency and should therefore only be taken with due care and attention. 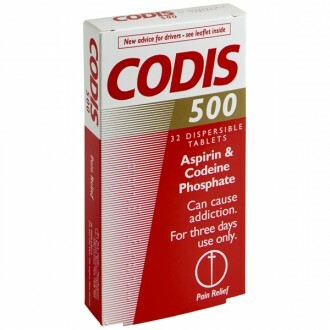 Codeine products should only ever be used in the short-term, and only at the lowest effective dose for the shortest required time. If you are finding the recommended dose ineffective, you should contact your doctor or other healthcare professional for advice. Morphine is a strong opioid analgesic, which is the strongest group of painkillers available. Other strong opioid analgesics, which are similar to morphine include: Oxycodone, Fentanyl and Buprenorphine. These medicines are only available on prescription. Why have I been prescribed antidepressants for Pain relief? Certain medicines that are used to treat depression can also be effective at treating certain types of pain. Specifically, pain caused by damaged or sensitive nerves, such as shingles or sciatica. You don’t have to be depressed for these treatments to work. An example of an antidepressant commonly used for pain relief is Amitriptyline. Other medicines can share a similar dual purpose, in the same way antidepressants do. For example, Gabapentin is an antiepileptic medicine, which is also an effective treatment for pain relief. Both antidepressants and antiepileptic treatments are only available with a valid prescription from your doctor. When should I see a Doctor about my Pain? It is advised to go and speak to your doctor should your pain last longer than is reasonably expected. This time frame will vary depending on the type of illness or injury that initially caused the pain. If you are suffering from any form of unexplained pain, where the cause is unknown, then it is recommended you speak to your doctor. What is the best Painkiller for me? Your choice of pain relief will depend on the type of pain you have. If the pain is mild to moderate with associated inflammation, for example; mild back pain or headaches, then Paracetamol or NSAIDs will be a suitable choice. If however, the pain is being caused by damaged or sensitive nerves, then Amitriptyline or Gabapentin would be a better choice. If the pain is severe and isn’t effectively being managed by over-the-counter medicines, then stronger doses or alternative options, such as opioid analgesics, are available with a valid prescription from your doctor. It is safe to take paracetamol and ibuprofen together if required. The doses can either be taken simultaneously or spaced apart, depending on the level of distress. 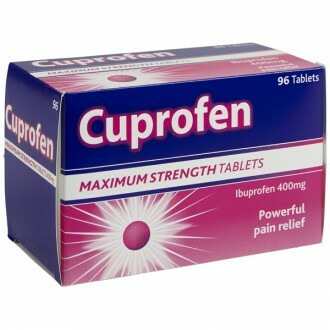 It is recommended to take Ibuprofen with, or just after food. Children under sixteen should not take paracetamol and ibuprofen at the same time. However, the doses can be staggered should it be necessary. Can I use Pain relief medication if I am pregnant? I can't swallow tablets, are there any alternative forms of treatment? What else besides medication might help me? Whether it’s because medicinal treatments are ineffective or simply too expensive, there are a number of people who look to alternative treatments to help manage their pain. Transcutaneous Electrical Nerve Stimulation (TENS)– this pain-relieving method uses mild electrical currents, delivered to the site of the pain through small adhesive electrodes. This electrical stimulation is designed to interrupt the pain signals being sent to the brain, whilst relaxing the surrounding muscles. It is generally accepted that TENS treatment requires more conclusive research to determine whether it is a reliable method of pain relief. It is always recommended to speak to a healthcare professional before starting any alternative pain management regime. Are there any ways I can prevent Pain? Sadly, both acute and chronic pain can’t always be prevented. The obvious advice would be to try and avoid dangerous situations where the risk of injury or illness is high. Also, staying in good physical and mental health will reduce the odds of suffering a potentially painful illness or injury.